creative, smart developers, designers and product managers to join us on our journey. Training across our team is ongoing. It plays a crucial role in giving us the skills and knowledge we need to introduce new technologies, revise old decisions, and lead the platform to the next level. Designing and iterating on a product that’s consistently getting great feedback from clients for its user-friendly interface is something I’m really proud of. Also, putting together a talented design team that can solve any problem that comes its way. It’s exciting to think that we’re building features that people have a real need for. So when we achieve that it’s such a good feeling. It’s exciting to celebrate when we have launched something successfully. Building revolutionizing software that empowers people and makes processes simpler, takes a team that likes to think, is keen to learn, and ready to grow. From just a few developers back in 2013, our Product department is now Workable’s biggest department. As a team we get excited about new challenges. We see the benefits of talking things through; of sharing ideas and processes – early and often. Our developers need to be agile, ready to adapt and able to communicate clearly. Workable’s range of products is continually growing, which means our department keeps growing too. To keep pace, we’ve set up five autonomous teams. Each develops and designs features for Workable’s different applications: the core ATS; mobile platform; syndication; sourcing; and data science. You’ll work alongside talented professionals on the most up-to-date technology stacks. And with a focus on iteration and innovation you’ll get the training, time, support and feedback you need to excel in your role. You’ll also get to go to some of the best tech conferences around. 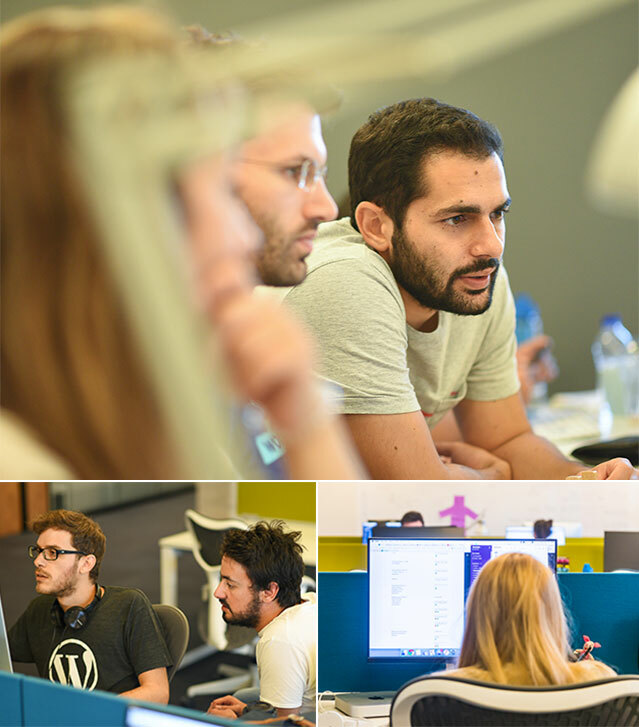 Workable’s CTO and co-founder, Spyros works closely with the Product and Engineering teams in Athens. Passionate about building robust, secure and usable systems, he brings a wealth of software development knowledge to Workable. 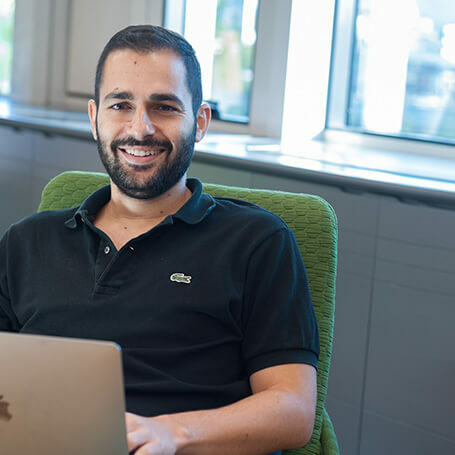 An experienced software engineer and architect, Panos handles the day-to-day running of Workable's large Product department in Athens. Working across multiple teams he ensures everyone is able to deliver their best work every day. 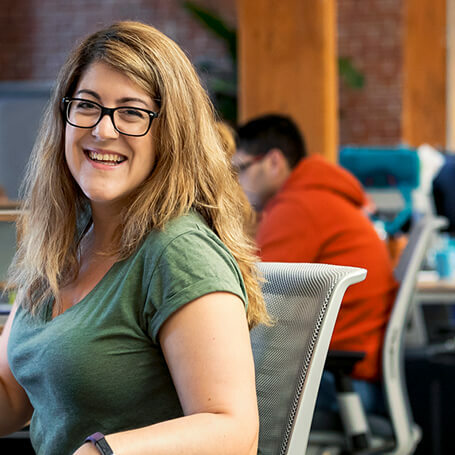 Juggling everything from UX to feature release dates, there's nothing about the core product that Maria doesn't know. 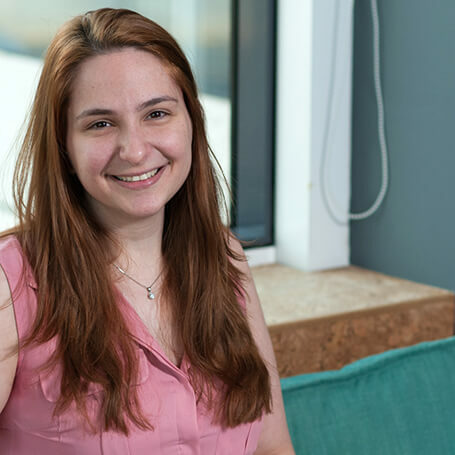 Working across multiple teams in Athens (Greece) she helps manage product strategy, delivery and direction. One of the first members of the Workable team, Zaharenia is also a sought after conference speaker. Working remotely from Crete, she created the initial look and feel for Workable and now leads our team of Product Designers. An early Workable hire, Ioannis has been with us almost since the beginning. Leading the back-end development of the core product he knows everything there is to know about Workable and ensures everything is built to his high standards. Sokratis is the lead for the platform team in the product department. His ongoing mission is to provide the necessary infrastructure to other product teams regarding shared functionality across Workable products and collaborate with them during the integration. Nikos has a passion for new product development. With a focus on performance optimization and scalability, he leads back-end development on our sourcing products, working closely with big data and our expanding Data Science team. An agile enthusiast, Kostas enjoys working with the ambitious teams at Workable. With experience gained while working on critical, large-scale projects, he manages the back-end developers in our busy Syndication team. Kostas holds a PhD in Computer Vision from the National Technical University of Athens. With almost twenty years of academic and work experience, he brings valuable expertise in NLP, deep learning and supervised/unsupervised ML. Rob brings a wealth of recruiting knowledge to Workable. A true customer champion, he works developing Workable's network of partner integrations and relationships. With a Masters in Engineering and an MBA, George uses a combination of business skills and technical knowledge to manage the implementation and delivery of product partnerships at Workable. Valia has an MSc from Telecom Paris and experience as a software engineer in Detroit (USA) and Athens (Greece). She works with the close-knit Mobile team across both iOS and Android, developing the product strategy and direction. Vasiliki has an MSc in Project Management and Product Development. Working on partnerships and integrations, she’s passionate about helping her team build a rich hiring toolkit our users will love to use. After completing a 25-minute General Aptitude Test (through Skype or in one of our offices) we’ll email you a brief for a timed assignment. This is a chance for you to show how you approach on-the-job situations and deliverables. You’ll have a week to work on this before submitting it via GitHub. This exercise should give you a good feel for how we work and the kind of challenges we face. Core skills aside, there are no right or wrong answers. We’re interested in how you approach things, your creativity, and what you’re capable of. You’ll probably have lots of questions after completing this. We look forward to discussing them with you at the interview stage. The final stage in the process, this interview is with one of our Executive Team; probably Spyros Magiatis our CTO. He’ll explain more about us as a business – how we operate, our structure, our vision and our culture.